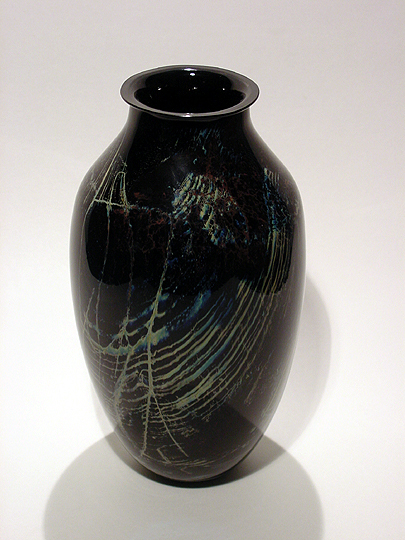 On the outside, this vase appears to be black... but when you look at it through the inside, you see that the black color is actually a very dark blue-green. There are some streaks of white and coppery-red, as well as a few bubbles trapped here and there within the glass. This work is very similar to Josh's red New Mexico bowl, although the use of color is somewhat different.